Are you thinking of putting in a new residential fence on your property? If you are a first-time fence installer or are new to New South Wales, you may not know there are a number of important rules and regulations regarding residential fencing you must adhere to in order to ensure your fence is safe, does not upset your neighbours and does not harm the local environment. Failure to follow these regulations could result in a pricey fine (and having to shell out more hard earned money to have your fence brought up to code). It is important to note that whether you plan to install your new residential fence yourself or plan to hire a reputable fencing contractor, it is important that you have a plan in place and understand the rules for your area to ensure the work is done correctly. Today we will break down the most important rules when building a new residential fence in Sydney and provide you with resources to make the planning process easier. If vegetation (trees, bushes etc) need to be trimmed or removed, consult with your local council to ensure you are not removing species of vegetation that are government protected. Fencing must be structurally sound, installed in accordance with manufacturer’s specifications and comply with the Building Code of Australia (BCA). If you are installing a new fence or replacing an existing fence that divides your property with a neighbour, it is important to consult your neighbour with your plans and familiarise yourself with the Dividing Fences Act 1991 to ensure you know your responsibilities should a dispute arise. 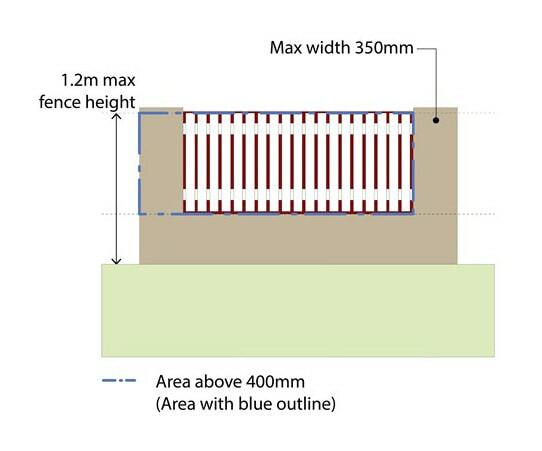 For a full list of rules and regulations, please visit the NSW Government website page on fence planning here. To ensure you know exactly what your lot’s zoning rules regarding fencing are, check out the NSW online ‘Find a Property’ tool. Simply type in your address and you’ll be given all the information on your lot you will need such as what zone you are located in, the contact information of the council responsible for your zone, what planning policies and environmental controls apply to your zone and more. Additionally, this handy tool lets you download/print your individual lot’s property report for ease of use or to provide your fencing contractor. 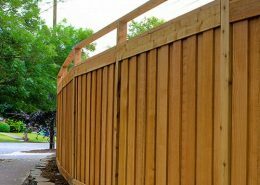 What do I need to know before installing a new residential fence in Sydney? Ensure your fence style complies with the general NSW fencing rules and regulations found here. Know what zone your property resides in using the NSW free ‘Find a Property’ tool and determine if there are special fencing regulations pertaining to your area. Ensure you speak to your neighbour about your new fence plan if it divides your properties. Familiarise yourself with the NSW Dividing Fences Act 1991 to know your rights in the event of a neighbour dispute. Ensure the materials of your fence are good quality and the workmanship meets both the manufacturer’s specifications and the Building Code of Australia (BCA) minimum standards. 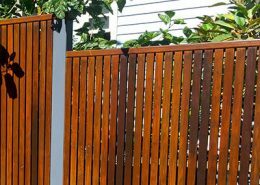 From choosing the right fencing style and materials for your needs through to installation that adheres to the Building Code of Australia standards, the expert contractors at Amazing Fencing are here to help you realise your perfect Sydney fence. Contact us today to get your free quote! Get your free fencing quote with Australia’s number one fencing installer.